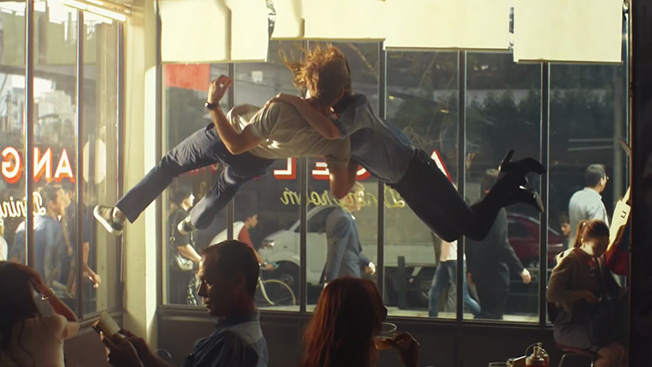 Fans of first kisses may want to check out Lacoste’s Big Leap ad. The 30-second spot likens that heartstopping moment to the thrill of jumping off a building. Taco Bell’s brilliant Ronald McDonald breakfast ad still remains extremely popular. While it’s not the first chain to try and take on the golden arches, it does have the distinction of actually getting a clever response back from the fast food empire. If you missed SXSW or simply want to revisit this year’s festival, check out the Doritos #BoldStage video for a recap of highlights from the performances. NOTE: Adweek’s VideoWatch Chart, powered by VidIQ, reveals the Top 10 Branded Web Videos on YouTube every week. The chart tracks more than just pure views, as VidIQ incorporates sharing data from Facebook, Twitter and YouTube, among other data sources in an effort to measure true engagement. Every video is also ranked with VidIQ’s proprietary Score which helps judge the likelihood of a video being promoted in YouTube Related Videos, Search and Recommended Videos.